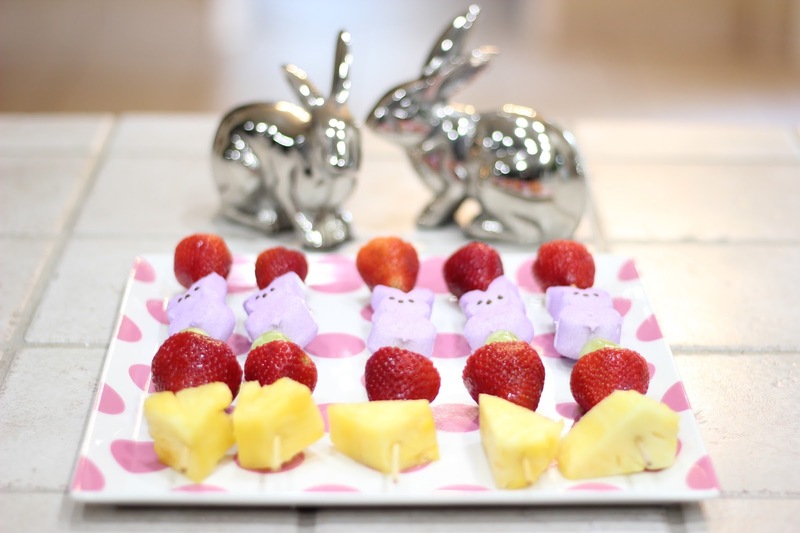 My family and I always host Easter at our house. I love having all the family over for good food and good fun. 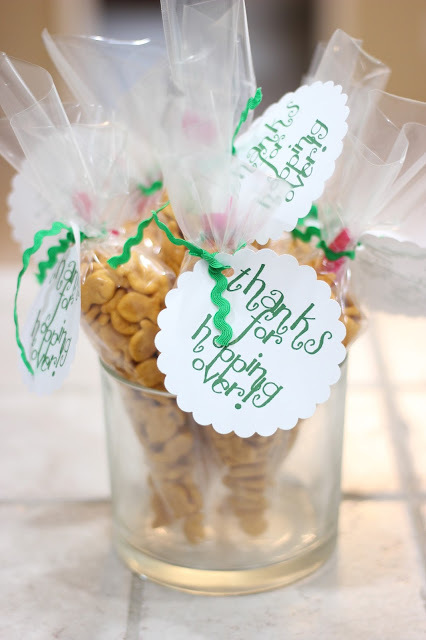 I love decorating and having festive food and games but those things have to be simple! I wanted to share with you some super easy fun bites for your get togethers as well as some ways to turn up your Easter Egg Hunts. For a beyond easy app I'm serving a simple veggie platter with ranch dip. 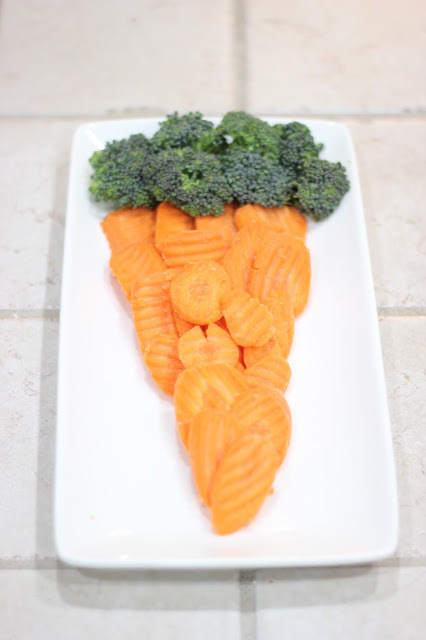 It's just carrots and broccoli in the shape of a carrot. It doesn't take any more effort really to make this into a carrot but it makes it so much for fun! My fun food is usually geared towards the kids. 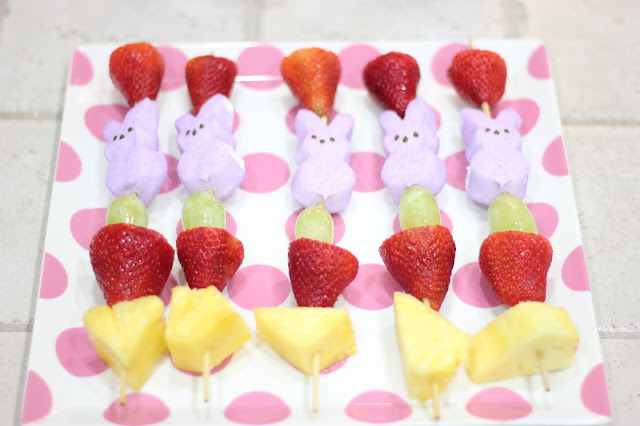 So we will have a fruit salad for everyone but the kids will get a fruit skewer with a purple bunny Peep on it which makes it that much for fun and appealing. A simple sweet treat is always in order so this year I'm serving Bunny Bait. 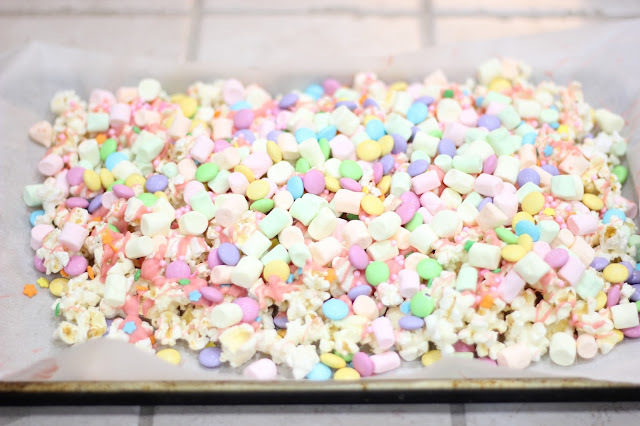 Again I only do simple with the very little time I have so you just pop Kettle Corn and then lay on a cookie sheet. I recommend laying parchment paper down first for easy clean up. You melt candy melts or melting chips in the micro and then add just a couple of drops of red food coloring to make the chocolate pink. 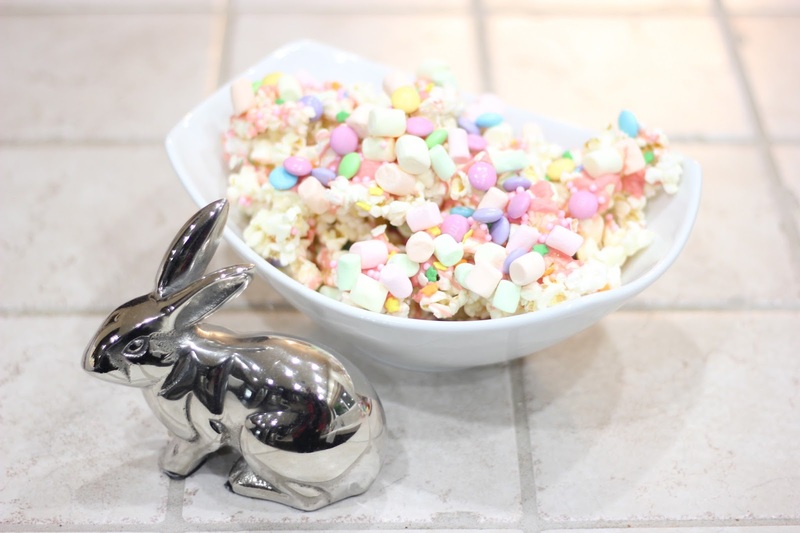 I then drizzled it over the popcorn. While the chocolate was still hot I sprinkled M&M's, pastel mini marshmallows, and sprinkles. I set it in the freezer for about 5 minutes and then put it in a dish to serve. 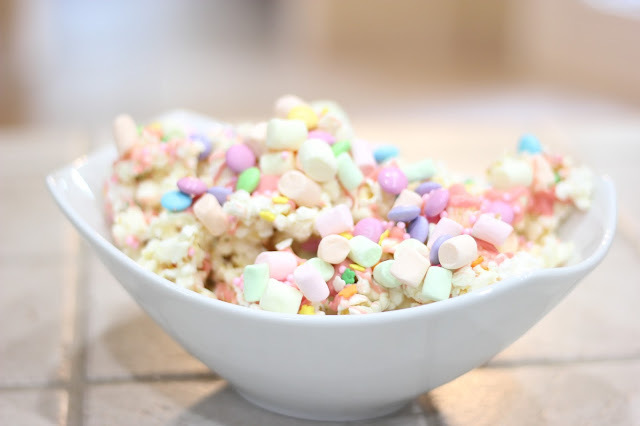 Easy, delicious and fun! 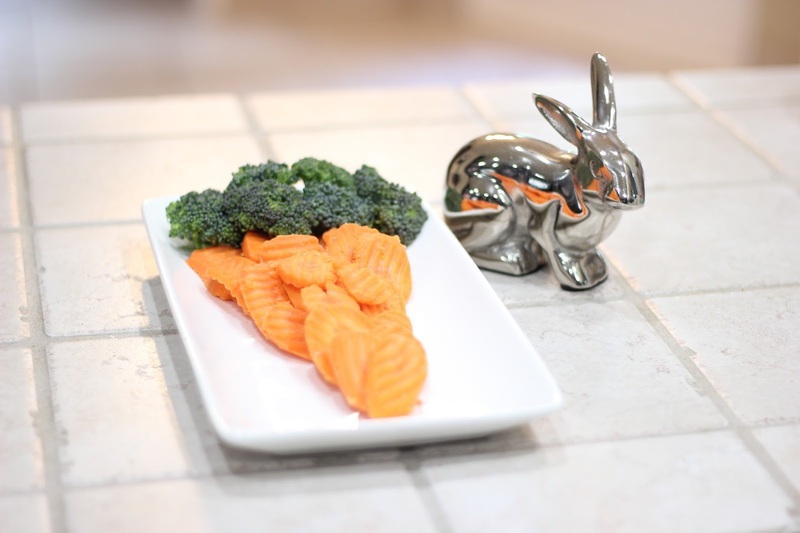 A favor for the little ones are these cute carrots. 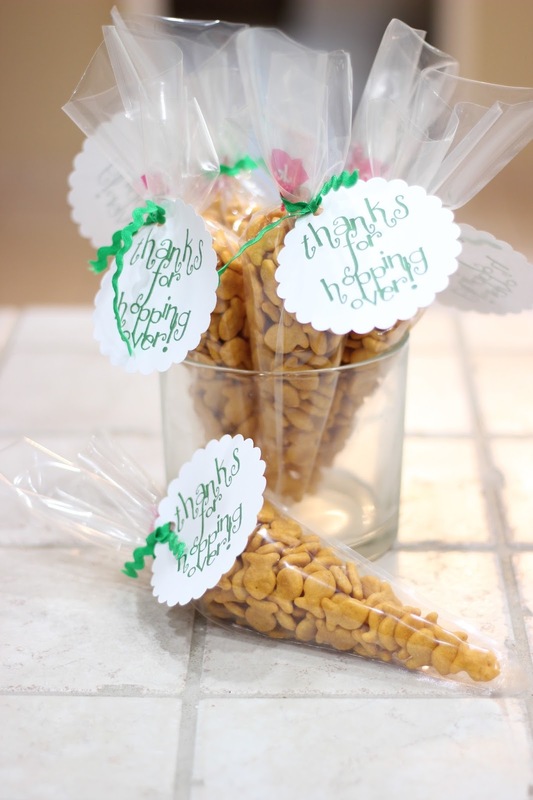 Fill a pastry bag with goldfish (because all kids will have enough candy by now) and tie with a ribbon. You can right click the printable below to make your own favor tags. 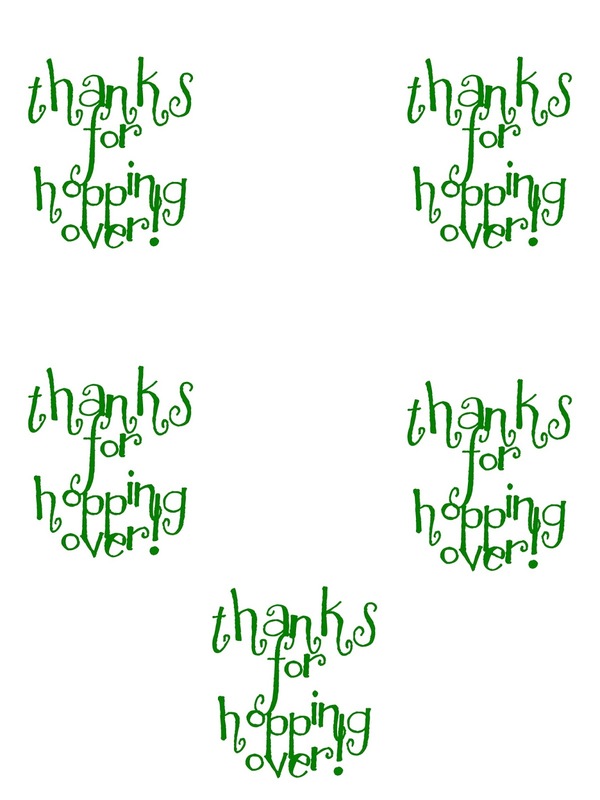 I used a 3.5 inch scalloped die cut to cut them out. Are you tired of the same ole egg hunt every year?!?! I try to add a little something different each year to our hunt to keep it exciting. 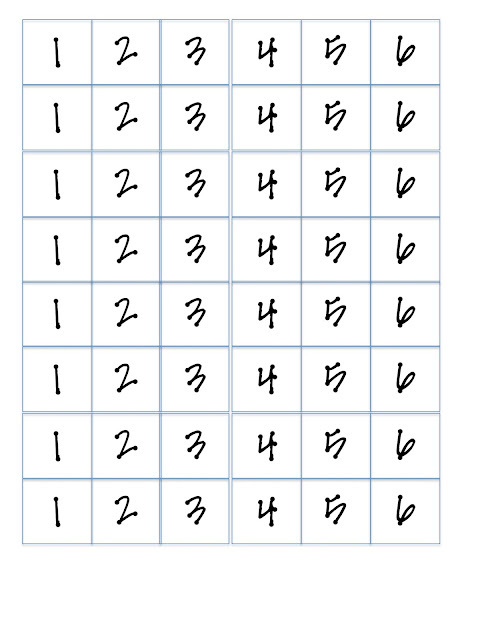 One option for little ones is to assign each child a color. Then they only pick up the eggs that match their color. This keeps it fair so a little one doesn't lose it over losing. The next game is great for young hunters but not super young. It's the Addition Easter Egg Hunt. You place a number in plastic eggs. At the very end of the hunt everyone opens their eggs and adds up their numbers. The child with the highest total wins a prize. 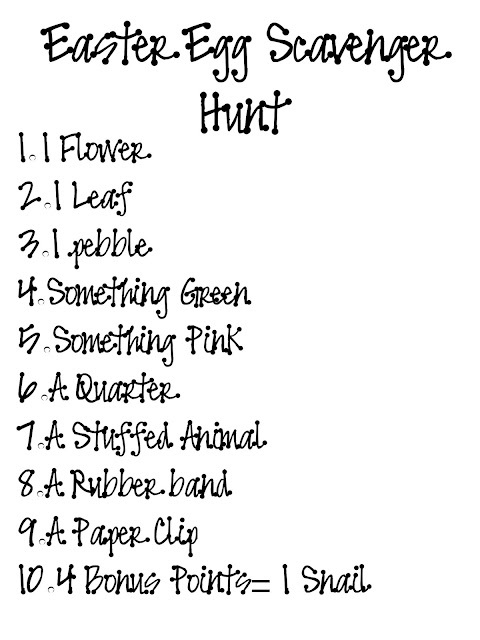 In addition to searching for eggs add a scavenger hunt. 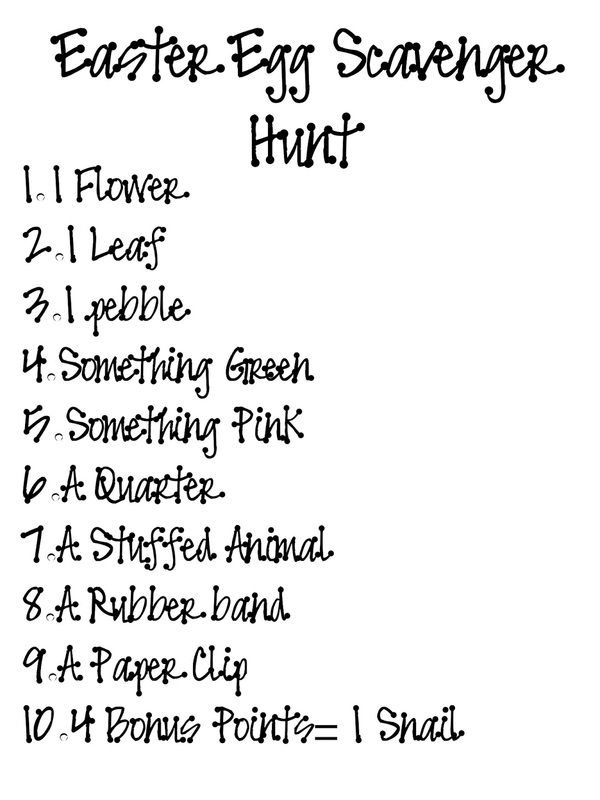 Some of the items are already outside and others you will have to place before the hunt. 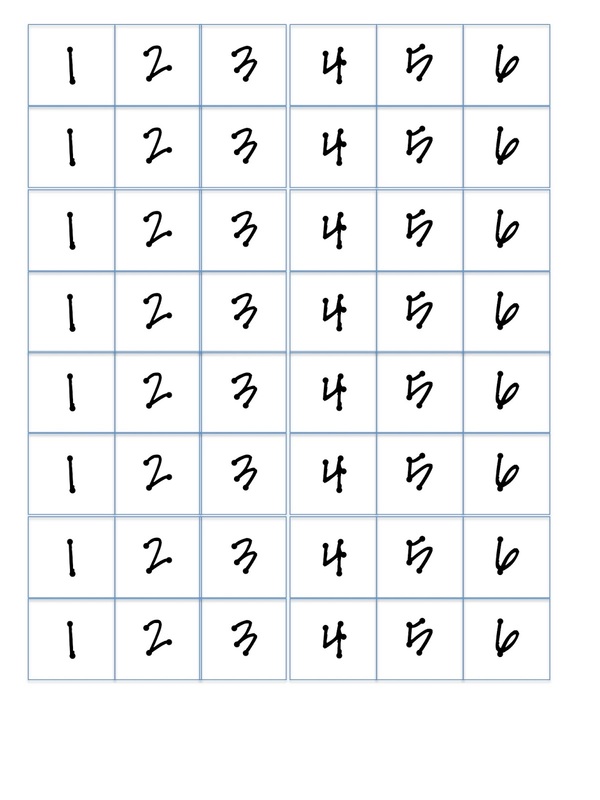 The child that gets all the items wins or if multiple kids complete it, the winner is the one who completed it first. 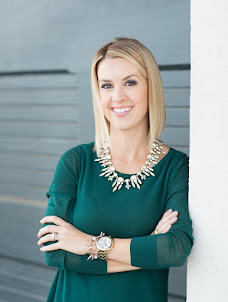 You can check out my segment on CBS 47 sharing these ideas. Wishing everyone a blessed Easter! Also let me know what easy and fun recipes and games you have.